Not every single person in the world is going to love you–what follows are roughly 1,800 words to convince you that’s a good thing. 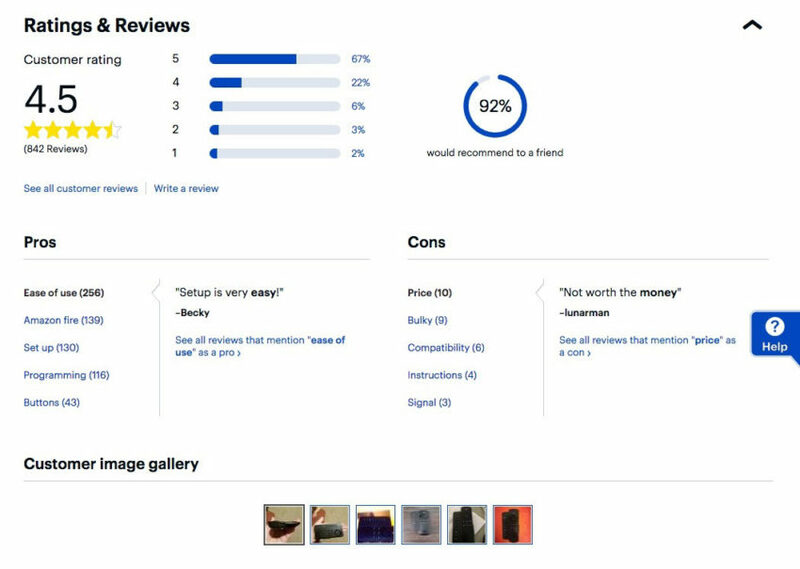 Product reviews are well-established as an essential sales tool for eCommerce business; the stats overwhelmingly back it up. 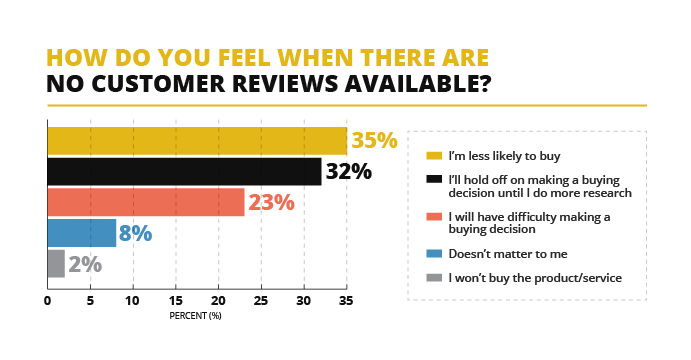 72 percent of customers will wait to read reviews before they buy anything from you. Even having one review for a product can lead to an 18 percent increase in sales, and just five reviews increases the likelihood of a purchase by 270 percent. Obviously, you want your products to receive amazing reviews. By and large, that’s true. But, believe it or not, you don’t want every review to be five stars. Now… don’t misinterpret that to mean, “My product has 250 reviews and an average of 1.5 stars, someone back up the Brinks truck, baby.” You still want way more good reviews than bad–but you don’t want only good reviews. Here are six reasons why you shouldn’t panic–and maybe you should even celebrate a little–when you get a bad review. Best Buy does a good job presenting a balance between good and bad reviews on product pages to reflect how customers really feel. Their website puts the frequently-cited pros and cons from customer reviews side-by-side and breaks down the overall distribution of ratings with a helpful chart, making it easy to compare reviews across the spectrum. Bad reviews are a clear sign that you’re not editing the reviews section of your site; 95 percent of people suspect censorship or fakes when they don’t see bad reviews. The authenticity you demonstrate by keeping those bad reviews on your site should pay off for you–two-thirds of people say trustworthy, real reviews influence their decision to make a purchase. That’s why the ideal star rating for a product isn’t 5.0–it’s in the 4.0 to 4.7 range. That indicates a wide variety of real reviews have come in, and by and large, they’re very positive. The 4.0 to 4.7 range is ideal across industries, and for products both inexpensive and expensive. 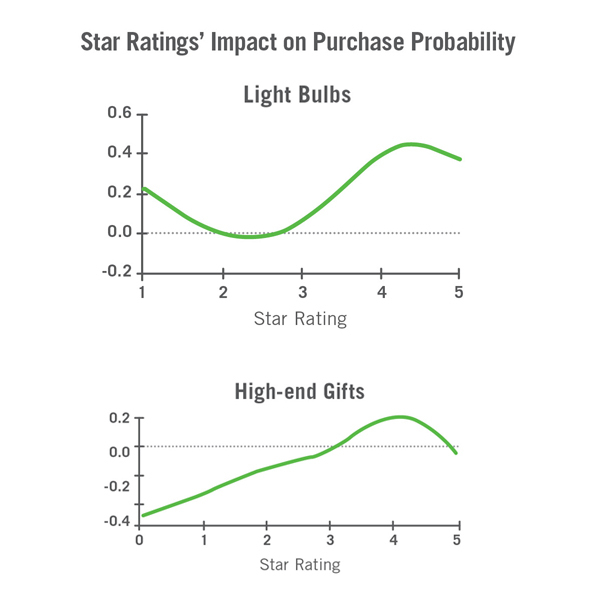 These graphs show that the probability of someone purchasing something minor (light bulbs) or major (high-end gifts like, let’s say, a flying car) peaks in the four-star range, but then drops when a product has nothing but five-star ratings. Bad reviews are an underrated traffic source you never knew you had. 82 percent of all shoppers, including 86 percent under age 45, seek out negative reviews. People reading bad reviews spend over 500 percent more time on your site. It’s up to you to capitalize on all that attention you’re attracting. Bad reviews present an organic opportunity to demonstrate your customer service–and since you know those bad reviews are getting eyeballs, those demonstrations will have a wide audience. In other words: Respond to your negative reviews. It demonstrates you’re involved, active, and working hard toward customer satisfaction. 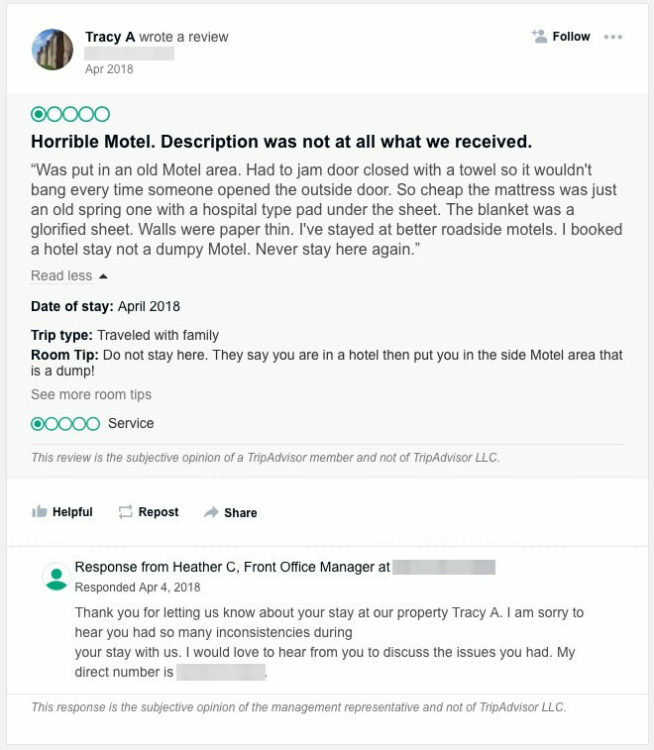 And much like the manager at that hotel, you should also do your best to respond quickly–even in the face of someone calling your product “dumpy.” Another study found the sooner you respond to bad reviews, the more likely you are to retain that person as a customer. If humor is part of your brand, you can also use bad reviews as a chance to be funny–and your responses might even have viral potential. Now, it’s a very delicate balance; you don’t want to publically rip on your customers too much, but for some brands it can work. If someone leaves a particularly irrational review (like giving you one star because the post office lost their package or because your store sells WordPress templates and WordPress reminds them of their ex-girlfriend’s annoying brother who once had a blog about the Paleo diet), you’re not going to turn off your other customers by showing off a little personality in your response, especially if that’s expected given your existing brand voice. Wendy’s Twitter account has become famous for this technique. Although you should probably be careful about implying your customers’ opinions are trash like they do in the exchange below, it sure works for them. 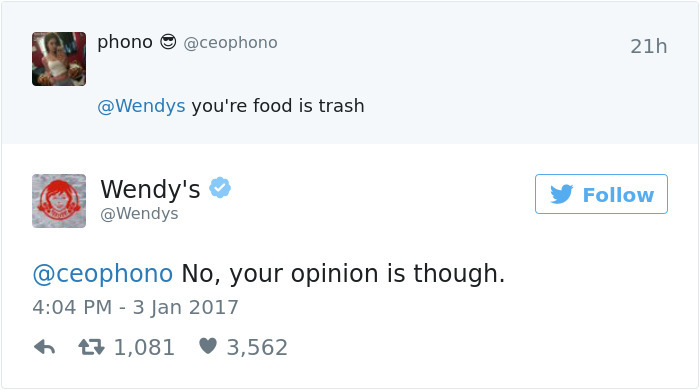 This Twitter exchange appears on lists of funny Twitter/business/customer service moments on dozens of websites–and every single one is laughing with Wendy’s, not questioning their commitment to customer service. 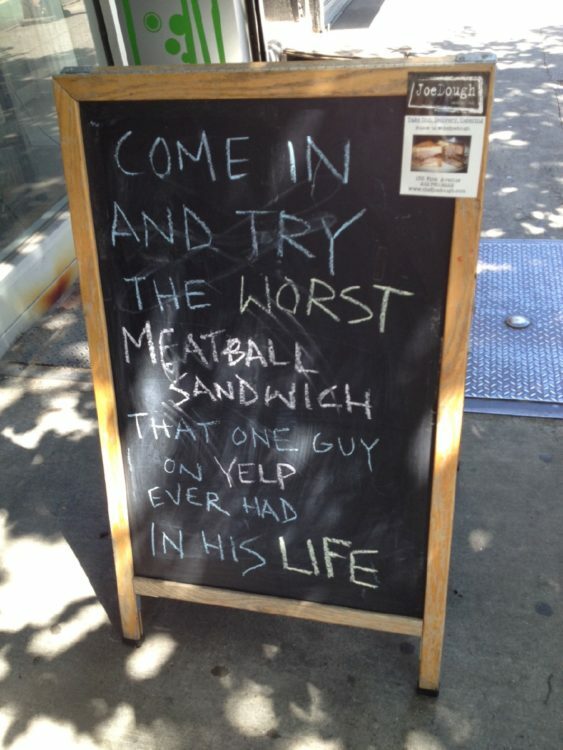 This sign from a sandwich shop in New York went viral as well for taking a bad review and making it a marketing tool–thanks to a funny, self-aware, self-deprecating spin. Social proof is a more powerful sales tool than you think. Literally, any amount of social proof. 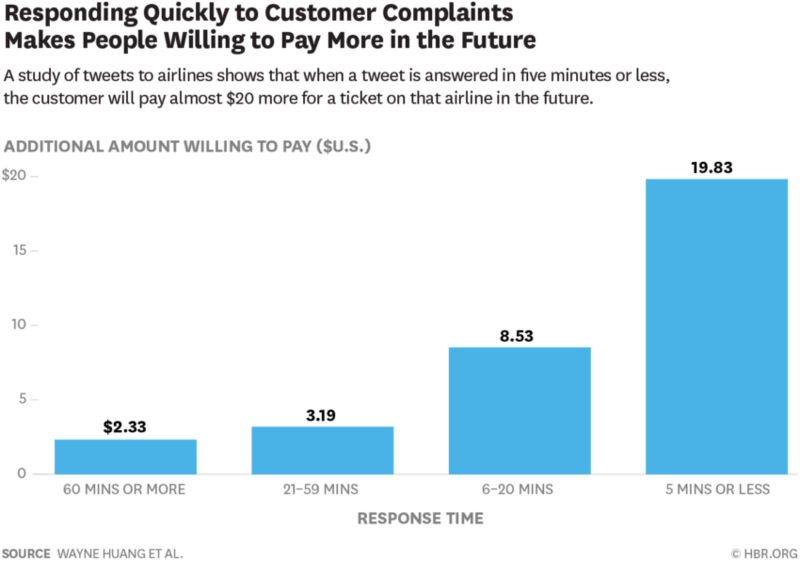 Customers want to see that someone–anyone–has bought a product before them. And even if some of your reviews are bad, they’re not necessarily an instant deal breaker. Fewer than one percent of people leave a site when they see a product with a bad review. Thanks to a quirk of human nature that makes us all crave being a part of the masses, you really just want lots of reviews. A study from the Psychological Science journal found people naturally prefer a product with more reviews over one with fewer reviews–even if the one with fewer reviews is clearly a better product. Instead of thinking of a bad review as someone hating your product, try reframing it as constructive feedback instead. After all, if half of the reviews on a product all point out the same flaw, that’s a clear, strong recommendation from your customers to fix that flaw. But the reviews with constructive points give you “valuable, direct, and instructional feedback” straight from your customers. And that’s something every good business needs. This article has been effusive in praising bad reviews, but, again, they’re not all upside. 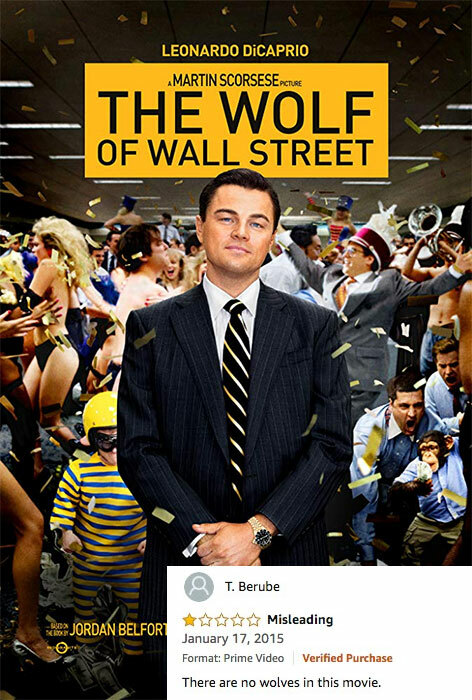 The majority of customers say it would only take a few negative reviews to get them to change their mind. Now back to the positive spin: If a bad review stops someone from making a purchase, that’s not necessarily a bad thing. You might lose a sale, but you won’t gain an angry customer. Bad reviews do an excellent job at weeding out people who have the potential to turn into unsatisfied buyers. In one study, five percent of customers who didn’t read reviews were unsatisfied, versus two percent of customers who did. And unhappy customers are a problem. Not only could they lead to yet more bad reviews (and remember, a few bad reviews are good, but you want to stay in that 4.0- to 4.7-star range)–unhappy customers give “anti-referrals” to an average of 16 friends. That’s not even taking into account how many people will see that anti-referral if they post about how unhappy they are on social media. 6. Bad reviews… drive sales? This might be the most counterintuitive aspect of bad reviews–they can be a quality driver of sales. The numbers back it up: 4.35 percent of people who look for negative reviews buy something, versus 2.35 percent of people who don’t. And another study found people who read bad reviews convert 67 more than the average customer. Why? 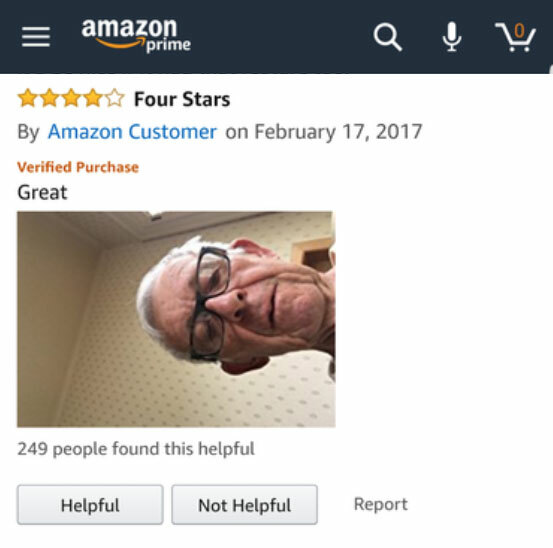 Bad reviews are a useful way to get a full picture. An interested customer isn’t looking at bad reviews in isolation, they’re gleaning info from both the good and the bad reviews to make an informed decision. 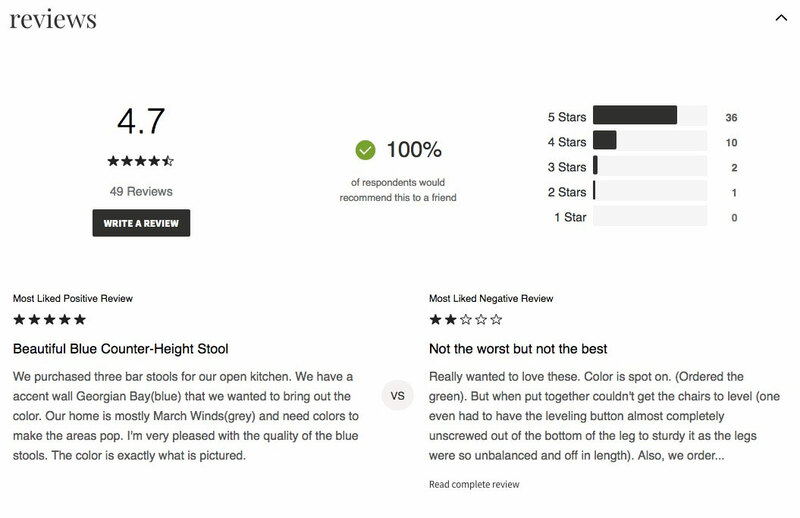 The furniture store Hayneedle helps customers do just that by promoting the most-liked negative review on each of their products. They put it side-by-side with the most-liked positive review, which lets a customer easily review the pros and cons so they can make their own judgment. And, in the process, it also mitigates the potentially-devastating effect of a negative review. That bad review isn’t isolated, or lumped down with the other reviews–it’s side-by-side with the most positive review which, in theory, overshadows and refutes it. 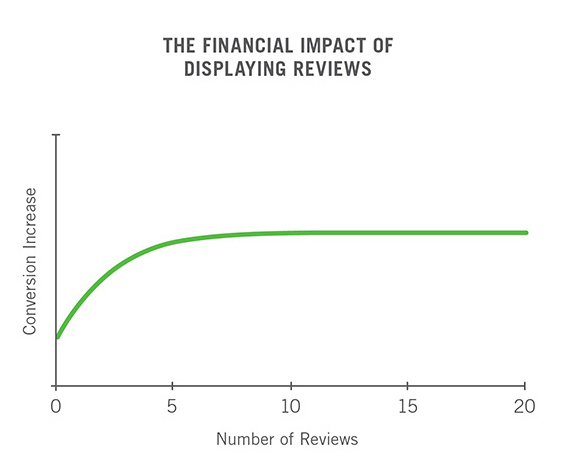 People actively looking for bad reviews are serious buyers, not just people browsing. If someone takes the time to hunt down the negative reviews on your site, it’s because they’re close to the point of buying. And once they get a full picture, they’re ready to buy. Bad reviews aren’t always bad news–in fact, having a few of them is essential. Bad reviews build credibility for your store, as people are much more likely to trust a product that has a mix of good and bad reviews. Bad reviews give you an opportunity to interact with your customers, demonstrating your customer service and desire to make things better. Having some bad reviews is better than having no reviews at all. Bad reviews provide free, valuable product feedback. 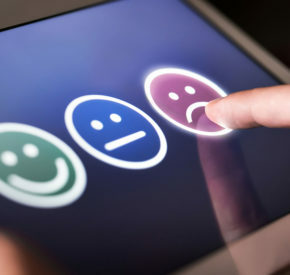 Bad reviews can help weed out customers who might wind up unsatisfied, which is good in the long run since customers who have negative experiences can cause all sorts of problems. And bad reviews can even help convince people to buy your products. So when you ask for product reviews, if they aren’t all five stars, don’t panic. That’s a good thing. Just make sure to take the time to respond to the bad ones–and use what they say to take an real, introspective look at ways you might be able to improve.